Succession is arguably the most important decision you’ll face as a family business owner. Getting it right will help ensure your firm’s longevity; getting it wrong could put it all at risk. So come the time for transition, how do you go about handing over the keys to the kingdom? You’ve made a clear choice about which of your offspring are best placed to carry on the family business. Your transition plan has seen them work in the business for some time, experience every part of its operations, and take on senior positions when ready. You may even have started to step back, and let them begin to take control. This is the point at which you should be reviewing the operational and ownership structure of your company. How are your firm’s operations organized? Who will run which divisions? Who should own how much of the share capital – and how much will you retain? An external perspective is helpful when making these important – and tricky – judgements. The above scenario is, of course, the ideal one. 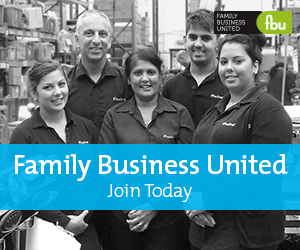 And with a bit of considered advice along the way, plenty of family businesses manage their transition in this way. But given the unique challenges of running a family firm, there are many potential barriers to a smooth succession. Firstly, despite all your hopes and plans, your offspring may lack the ability, or the inclination, to take over the business. This can be dispiriting, but if it happens, there are other options open to you, which we’ll deal with in our next blog . Then there is the issue of control. It can be difficult for founder generations to hand over their ‘baby’ – especially if the next generation intends significant changes. As the owner, you need to be mentally prepared to let go. Finally, time can be the enemy. Putting succession planning on the backburner for too long can place the business at risk. You need to know who will take over the business some years ahead. This will give you time to put a development programme in place to fully equip your successor for the job. Another crucial consideration is what to do if not all your sons and daughters will be involved in the business. If not properly handled, this could lead to tensions and power struggles – we’ve even seen cases of sabotage. So how do you ensure a fair distribution of the family wealth? Every family is different, of course, so there’s no one-size-fits-all solution to this situation. But in most cases, communication and compromise are the key. The family stakeholders of a business generally fall into three groups: those who work in the business; those who don’t; and at the centre of it all, the owners. It’s not uncommon for the needs and aspirations of these groups to conflict. But talking openly and honestly to each individual will help you to understand what they want, and to find a solution that’s acceptable to all. It will also help avoid some common pitfalls. Parents often give shares to their children, thinking that they’re doing the right thing, when a different approach is needed. Handing over a business obviously has major tax implications. And while it’s vital to have the right tax strategy in place before transition, don’t be tempted to let the tail wag the dog. Your business decisions should always be based on commercial merit, not on how much tax you can save. That said, there are some important fiscal issues to keep in mind. It can often be tax-efficient to gift a proportion of the company ownership to your successor(s). Of course, you may want to retain a proportion yourself, so that you can continue to receive an income from the firm you’ve spent so much time building. Many business owners assume that they’ll benefit from 100% inheritance and capital gains tax relief when relinquishing the business. But that’s not always the case. You need to check your tax position very carefully, and take advice on what to do. When it comes to succession, the most important advice anyone can give a family business owner is: plan. Plan early, and plan ahead. Review your plans and keep them up to date. And seek expert advice where necessary. Remember – the unexpected could strike at any time. Transition is something you need to be ready for.